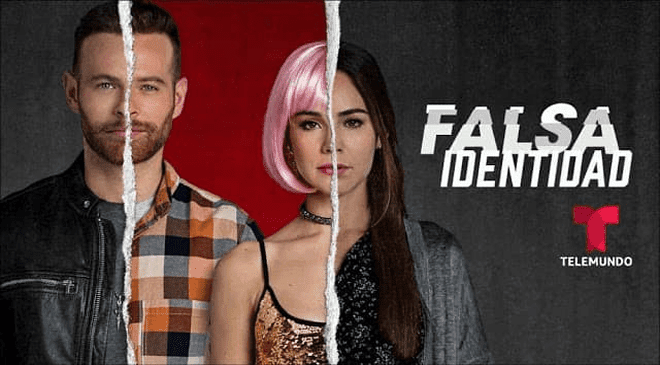 False Identity Teasers April 2019 – Upcoming Telemundo drama series ‘False Identity’ teasers, previews, updates, episodes, highlights and spoilers for April2019. Telemundo's new novella False Identity premieres on the channel tonight (1 April) at 22h00, replacing Woman of Steel which wrapped last week. Isabel escapes from her abusive husband with her children, Amanda and Ricardo. They ?nd refuge with Zoraida, Eliseo’s maid. Isabel, Diego and Ricardo manage to cross the border into the United States, while Amanda stays with Zoraida and Eliseo. Joselito manages to find out where Diego is staying, and arrives at the motel with his men. Meanwhile, Felipa reads Cerci’s fortune. Eliseo accuses Augusto of working for the Ganoa cartel, while Joselito asks Gavino for Circe’s hand in marriage. Isabel is reunited with Marlene. Isabel tries to find work, but is unsuccessful. Zoraida, meanwhile, looks for Amanda in the hospital. Felipa gives Circe a gun. Isabel, desperate for money, accepts an offer to work at the Babel bar, where Marlene dances. Meanwhile, Cerci puts Joselito in his place. Don Gavino’s daughter seeks revenge on Diego, while Ramona orders Lourdes to sleep with a client. Diego and Ricardo find a puppy, and name him Nico. Joselito plans an attack against Eliseo. At the bar, Isabel tries to help Lourdes, but Ramona intervenes and points a gun at them both. Isabel continues to lie to Diego about her work, while Ramona threatens to fire Camila. Don Mateo and Corona discover that Diego is alive. Diego demands, out of jealousy, that Isabel resign from her job at Babel. Meanwhile, Salas kills the hitman sent by Joselito to kill Eliseo. Zoraida and Eliseo make a deal. Eliseo gives an interview and makes it clear he isn’t going to withdraw his candidacy after the assassination attempt. Salas secretly installs a microphone in Augusto’s truck, and manages to record him confessing to his business with the Gaona cartel. Diego and Isabel manage to rescue Amanda. Meanwhile, Marlene is attacked by a client in the dressing room, but Deivid is able to rescue her. Corona files a complaint against Isabel for kidnapping. Meanwhile, Joselito tortures Felipa in an attempt to force her to reveal Circe’s whereabouts. Salas and the special forces arrive at the warehouse and confront Gavino and his men. Meanwhile, Diego worries about Eliseo and goes to look for him. Diego swears to get revenge on Gavino Gaona, believing that he killed Eliseo. Meanwhile, Diana’s sister stops her from going on a date with Chucho. Diego and Isabel are threatened by Don Mateo, but Salas helps them escape. Meanwhile, the Colombians send some people to beat Gavino in prison. Diego tells Isabel that he wants to start a family with her, while Joselito confronts Deivid for lying to the cartel. Joselito tries to kill Circe, demanding that she ask for forgiveness. Gavino is desperate to get out of prison, while Fernanda is suicidal. Circe and Felipa flee to Mexico City with passports given to them by David. Meanwhile, Corona withdraws the lawsuit against Isabel. Gavino’s lawyer tells him that he could serve up to 30 years in prison. Jim makes a proposal to Isabel, while Corona becomes distant from his father. Circle learns that her father is dying. Zoraida gives Fernanda the news that Salas is alive. Tensions grow between Diana and Augusto.